The Most significant departure from the traditional sports motor-cycles. 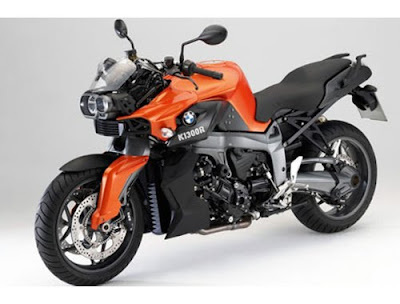 The BMW is now proudly going to announce its new bike model BMW K 1300R. From the starting of BMW Bikes, It’s a very well known fact that BMW is really willing and able to openly demonstrate extroverted design and extreme power in its own genuine style. Now a significantly up-graded successor to BMW Model K 1200R is making its world debut in the Motorcycle Shows. 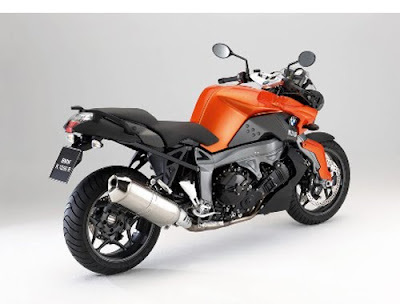 The new BMW K 1300R would be the most powerful naked bike of BMW, as officially claimed by the company. The main features of BMW K 1300R are Electronic Suspension Adjustment II, Lower rider’s seat (approx 790 mm/31.1", step arch length 1,750 mm/68.9"), On-board computer including oil level warning, Anti theft warning system, Comfortable Seats, Luggage rack, Heated grips, BMW Integral ABS, gear-shift Assistant, ASC Anti-Slip Control. BMW 6-00 x 17" sports wheels on 190-55-ZR-17 tires, LED direction indication front and rear. The other technical specifications of this bike include On board toolkit with service kit, HP Instrument Cluster, HP Gearshift Assistance, A Main stand, Pad-dock stand with the adapter. The bike is running on 230 V / 110 V batteries. It also consists of the instructions for repairing in K-models. For the music lovers, it is a nice in built feature to play the music via the DVD Player included in it. And there’s no need to worry about, if you stuck on your way due to the tire punchers, the Repair kit for tubeless tires is also included with your bike. The BMW K 1300R comes with a Motorcycle cleaner. While talking about the safety, the BMW K 1300R supports warning system of Anti-theft along with the remote control, Rear Mudguard, First aid tool kit (Large and Small Both - For all type for injuries), cover for Motorcycle, communication and Navigation, Motored communication units and ZUMO navigation, and most importantly the support. The passenger seats are quite comfortable. To bring more pleasure while riding, the company has mixed few more things like, HP Colored footrests, Sports wind-shields and fastening elements. Additionally, it has Water-tight tank bag, Multi-strap fastening rope, seat-covers, wheel covers and heat protector. With its muscular design, the new BMW K 1300R will simply buzz a strong feeling in terms of power and performance at a very 1st sight, and standing out clearly from the competitors and leaving an impressive image on the riders through its dynamic-appearance.